I keep an ongoing board on Pinterest for ideas for whenever we move on to our next home. 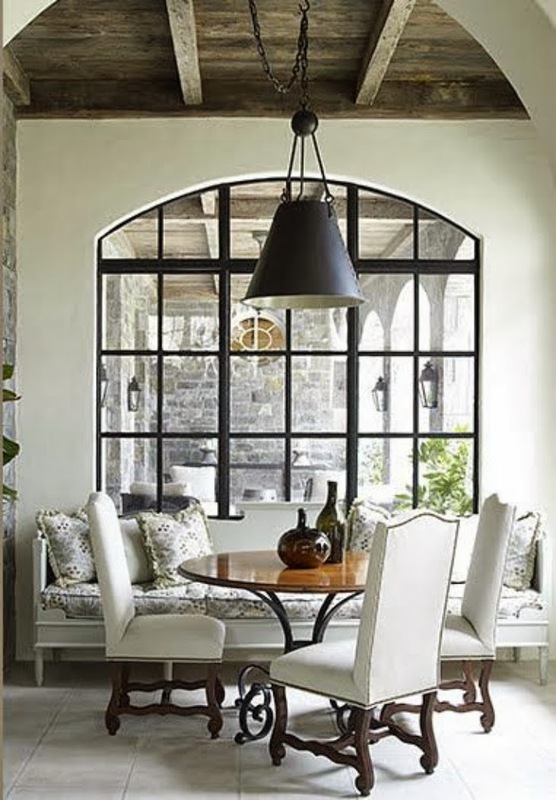 One I have become pretty obsessed with is banquette seating. Think about it...whenever you go to a restaurant which seat do you want?! The booth! 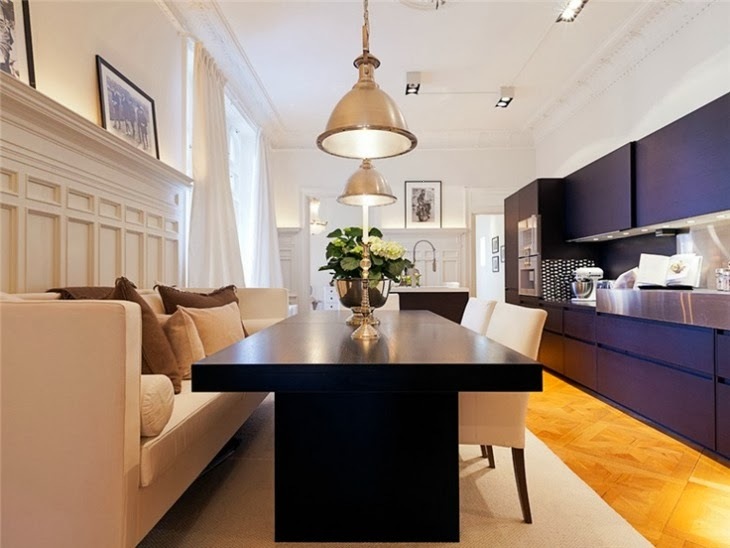 Why not have it in your home?! 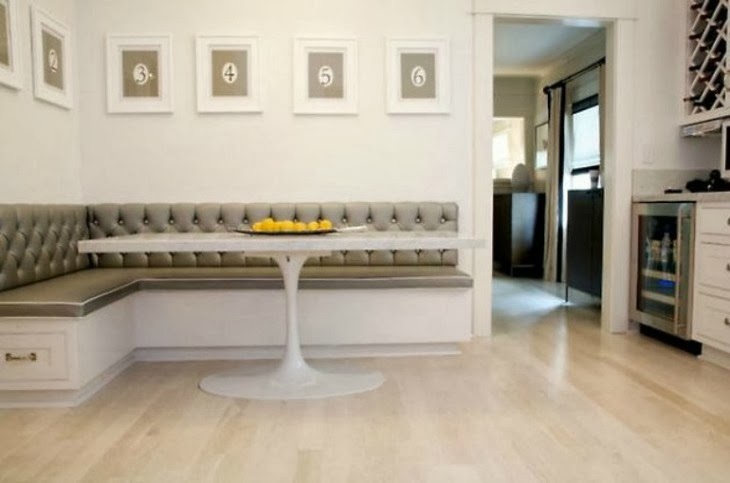 They just make sense and can be used in many spaces...kitchen, dining, play room, and even outdoors! You can now even buy section pieces to create your own, so there isn't even a need to have to have it built in. 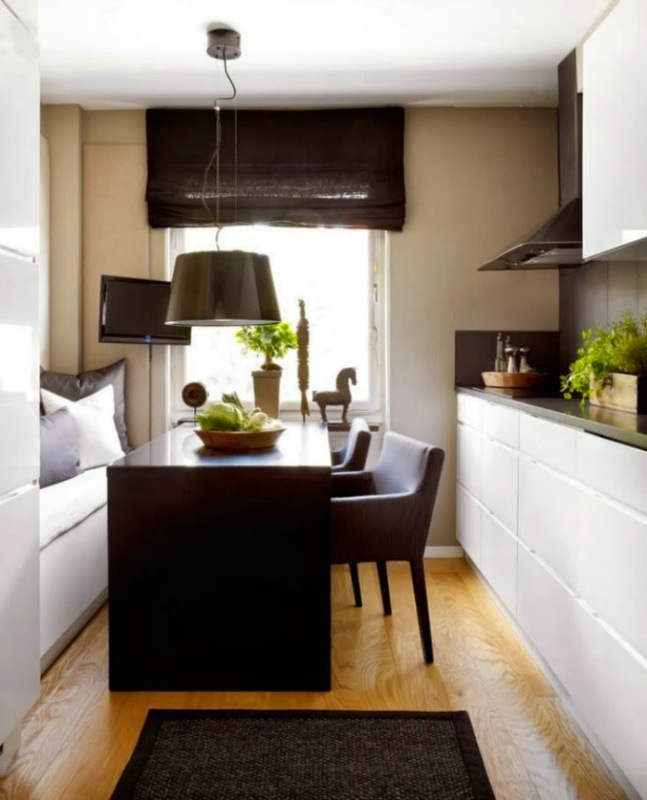 This is a great example of how they can be used in kitchens with limited space. Underneath the bench seat is another area for storage as well! 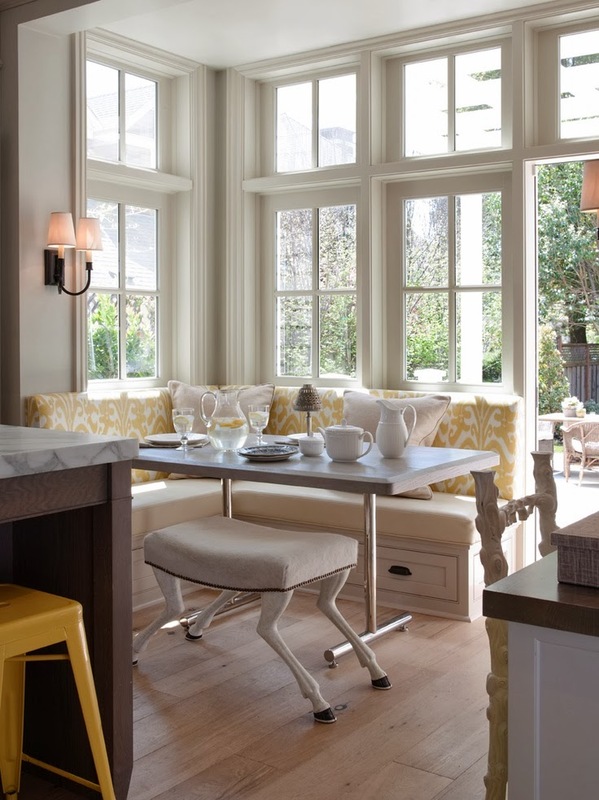 i love banquette seating too…wish i had some in my kitchen! These pics are great! I love the one with the happy yellow cushions!